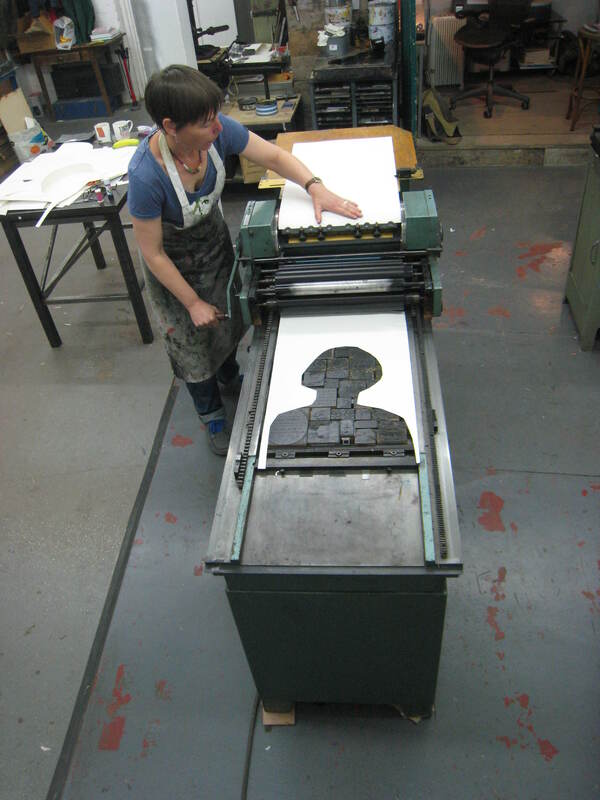 This week and last I have been printing at Centrespace where Nick Hand has established a letterpress workshop and several projects involving bicycles, print, places, photography and other people. What a good guy. My maternal grandmother was the wood engraver and textile designer Diana Bloomflield. My aunt Julia is currently the custodian of some 140 boxwood blocks she carved. 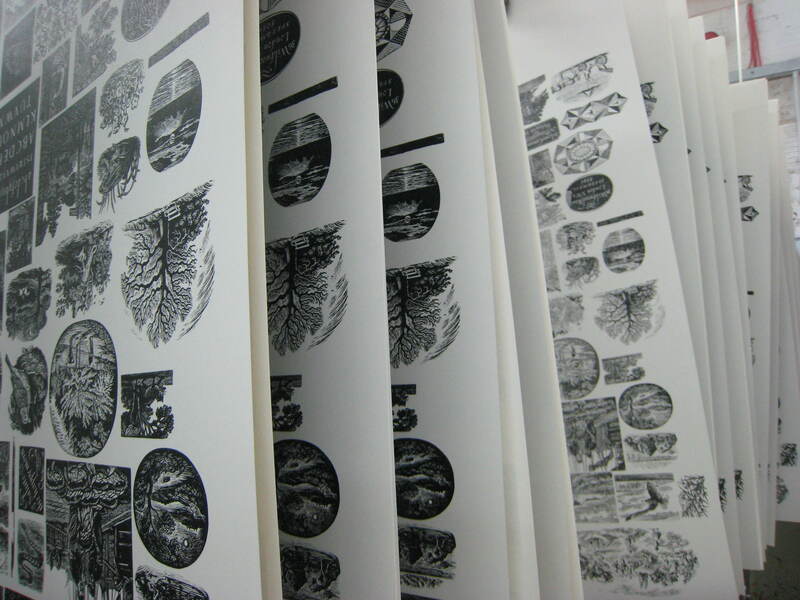 I was in Centrespace to print from these blocks with help from letterpress printers Pat Randle and Ellen Bills. Now here’s an interesting thing: Pat’s dad – John Randle of the Whittington Press dynasty – published my grandmother’s work while she was still very much alive (Matrix 19). If that weren’t enough to make one feel at home, I recently visited Whittington Press and pinned to the door was a familiar linocut by Andrew Anderson. This architect is a friend of my wonderful aunt Julia’s and she has the same print in her living room, in the house that used to belong to my grandparents. With this wonderful circularity going on I knew I was in the right place with the right people. I learned to operate two proofing presses at Nick’s gaff. The larger and more complicated was the Fag 40 which is Swiss I believe. What a very satisfying piece of kit. To print the blocks simultaneously one has to make them all perfectly level – type high. That took a while. Thanking printer Ellen Bills for her patience and tact. Today I’m back in the studio downstairs making something fresh from them. Something that reflects my relationship with her. I’m thinking about spoons, learning to print blocks at her kitchen table with a spoon, receiving a vintage teaspoon wrapped in an old pillowcase for Christmas and the spoon as a metaphor for being fed in a wider sense.